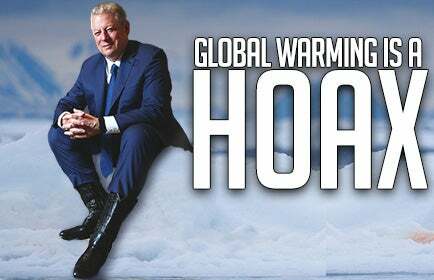 RUSH: Ladies and gentlemen, former Vice President Algore has been placed on suicide watch, I’m told. The headline: “Satellites Show No Acceleration in Global Warming for 23 Years.” You see, climate change has no data. All they have are computer models. And I’m not making that up. There is not a shred of empirical data confirming climate change. All they have are computer models forecasting it 30, 40, 50 years down the road. Global warming has not accelerated temperature rise in the bulk atmosphere in more than 23 years, according to a new study paid for by the Department of Energy. University of Alabama Huntsville climate scientists John Christy, Richard McNider did the survey. No warming in the atmosphere or below 23 years and counting.